Santa and Mrs. Claus giving their welcome speech. 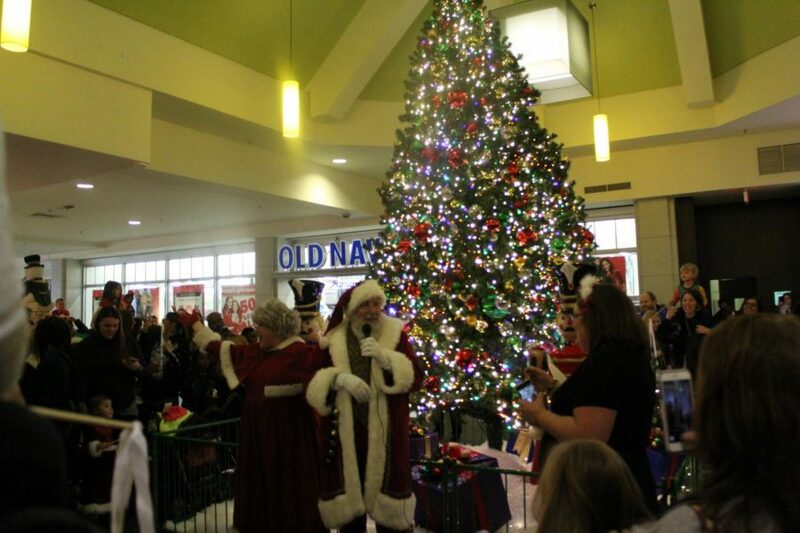 On Friday, Nov. 16, RHS students had the opportunity to welcome Santa and Mrs. Claus to Macomb Mall. The mall held a free parade for the public where families could come and participate in to welcome the holiday season. The RHS marching band led the parade while playing a mix of holiday songs, including “Let it Snow”, “Santa Claus is Coming to Town”, and “Jingle Bells”. Mr. and Mrs. Claus followed them to the tree where they lit the giant mall Christmas tree, and then families were free to get pictures with the couple, see performances by local singers and dancers, and get cookies and hot cocoa. This is where our very own National Honor Society comes in. NHS volunteers gathered together to help pass out free cookies and hot cocoa made by our hospitality students and teacher Jon Grommons. “I loved the atmosphere of the mall while all the activities were going on. Everyone was happy, smiling, and excited for the holidays,” junior and volunteer Marissa Hedrick said. The holiday events at Macomb Mall are not over yet. Our symphonic choir will be performing at the mall on Dec. 7 during the school day. Welcoming Santa and Mrs. Claus to the mall was just the beginning of our community festivities.